Balsamic vinegar is a mystery to me sometimes—it doesn’t always work when substituted for other vinegars. But it turns into something more than itself when it’s reduced to a glaze. 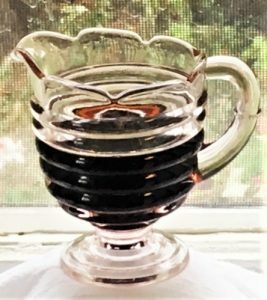 Set a cup of balsamic vinegar with a few tablespoons of honey or brown sugar to simmering, then reduce to 1/3 cup—and, voila! You’ve made a glaze. The glaze will thicken as it cools. Now for the July in January thing. 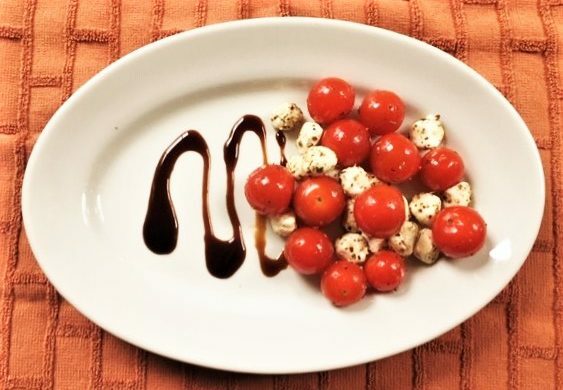 While the glaze cools, toss some mozzarella balls and cherry tomatoes in a little olive oil, salt, pepper, and dried or fresh Italian herbs—let marinate for a half hour or so. On a salad plate, do a fancy swirl with the glaze off the tip of a spoon. Put cheese-tomato salad on half the plate—serve with crusty bread.